You might have tried different ways to practice and improve your English; maybe those methods hardly assist you to enhance your English. Don’t worry, in this article I will tell you a different way to practice your English. In addition you can check here top 10 tips to improve your speaking. There’s one really wonderful resource which will help you to improve your English. It’s not a textbook, it’s not a webpage, and it might be living in your house. It could be beside you, it could be next door, or it could be in the park. Do you know what this is? It’s a child, or children. Speaking with children is good way to enhance your English because they are easy to talk to, have good grammar, and have a lot to say. You also don’t need to feel nervous when you speak with them. Kids are amazing they will always want to talk to you, because they are fun. So, it’s really easy to talk to kids. If you’re in an English-speaking country, luckily enough, children are learning vocabulary and they’re learning grammar and have active brain. Their grammar is absolutely perfect, with a couple exceptions. They will learn and they will be able to correct themselves. So their grammar and vocabulary power is amazing and talking to them will assist you to improve your English. And maybe you live in a country where you don’t have English speakers around you, and you don’t know how to practice speaking. Never mind, there’s one really wonderful resource- which will help you practice your English. Do you know what this is? It’s YouTube Kids. 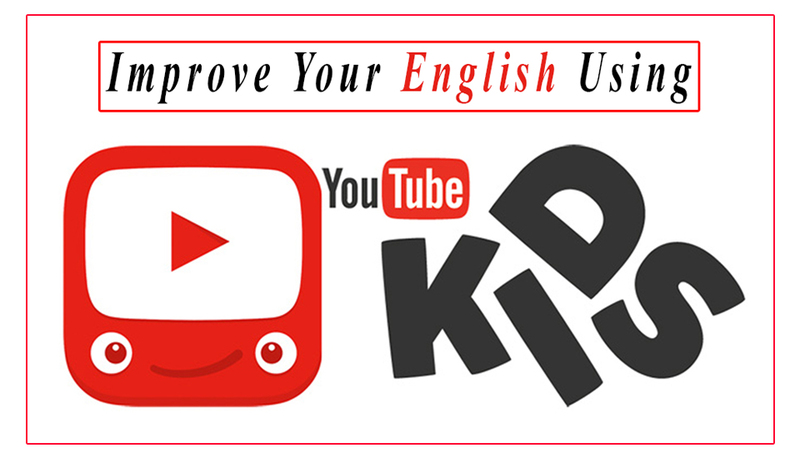 Now I am going to tell you how to improve your English using YouTube kids. Kids are amazing they always want to talk, because they are fun. They just choose the topic and they just talk about whatever they want, so that’s cool. If you watch videos of YouTube kids every day, it will help you to learn and improve your English, because you can watch whatever they do practically. Moreover children use a lot of slang and new words and to you, they know new words. One of the big problems that a lot of people have when they learn English as a second language is that they learn older words and when they come to English –speaking country, they look so weird meanwhile talking, because they use old words. So, Download this wonderful app now from the links below have fun and improve your English.